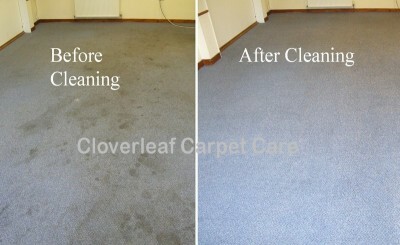 We provide Commercial and office carpet cleaning in Cheshire for local businesses with more than 18 years experience. Offices, shops, restaurants, hotels, public houses and residential homes and more. Commercial carpet cleaning – to maintain or improve the image of your establishment and extend the life of your commercial carpets or floors. Commercial carpets are an expensive investment and can often be restored to outstanding condition at substantially less than the cost of replacement. 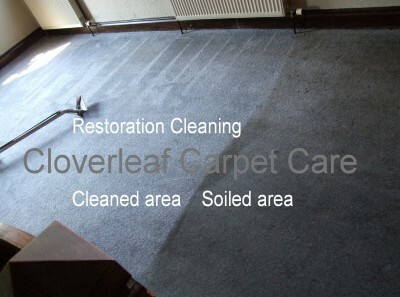 We clean and restore thousands of square feet of carpeting every year. Commercial carpets are usually subject to very heavy traffic and therefore become laden with soiling, bacteria and traffic marks. Our superb system can restore the appearance and maintain a healthy and fresh environment. Regular cleaning is essential for a professional image. 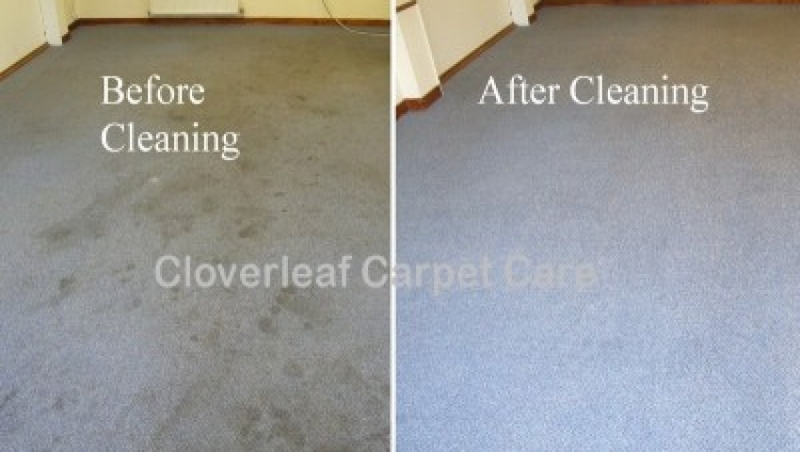 We serve most areas across Mid Cheshire for industrial and commercial carpet cleaning. 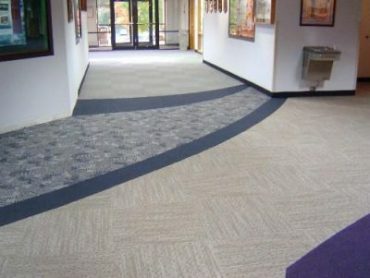 Commercial office carpets are extremely durable. Typically, they are laid either as tiles or from a roll. Most types of office carpet are low profile and being constructed of polypropylene they are very stain resistant. In most instances we get called out because of stains that have accumulated such as coffee spills, oil marks, shoe scuffing and general through traffic soiling. We find that office owners feel that stains and soiling are a problem that may not go away and that replacement may be the only option. This is not usually the case. Commercial carpeting which still has pile (not worn out) is not quite but, nearly bullet proof to stains and soiling. In most cases, what looks like a disappointing carpet can be brought back to an acceptable if not impressive condition.The economics Case study 1: Recruitment agency requiring carpet cleaning in Altrincham with a main central area and adjoining rooms. Cost to replace £2000. 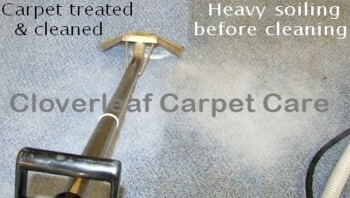 Cost of cleaned carpets £170. Result: from heavily soiled, to outstanding condition. 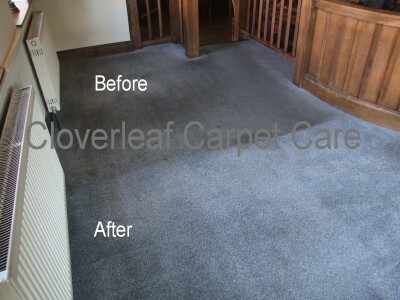 Case study 2: Two floors of Commissioning company office carpets cleaned in Knutsford. Cost of replacement approximately £4500. Cost of cleaning £330. Heavy stains were a real problem including heavy soiling. The result: stains removed and cleaned to nearly as new condition. 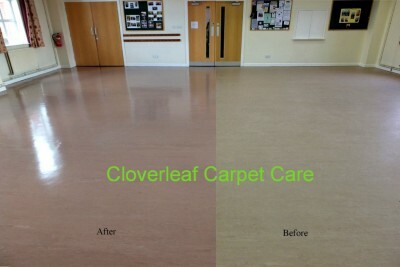 We have been using Cloverleaf Carpet care for many years. John is always reliable and professional and we always get a great efficient service. Meridian House, Road One Winsford, Cheshire West and Cheshire Council. All types of upholstery cleaned including office chairs and bench seating. If you need commercial cleaning Cheshire, we suggest you give us a call today. Many commercial buildings use vinyl and safety flooring in places such as canteens, walkways and toilet areas. Vinyl floors are popular for their durability and will last for many years. Some types of flooring are treated with a polish to give a solid protective layer which not only enhances the look of the floor but will also give an anti slip finish and help prevent scuffing. Altro slip-resistant safety flooring is a modern PVC type of floor which has an impervious grout free surface but will require regular cleaning maintenance. Marmoleum flooring was created to complement and enhance the architectural interiors of modern buildings. This type of vinyl floor will also require periodic maintenance and sometimes a protective layer of polish to enhance looks and offer an anti slip finish. Amtico floors are fitted to many high street shops and complexes which will require regular professional cleaning maintenance.